Tested and fully working device. Touch screen and keyboard all working. Original box. Original Recovery CD. Model: Iconia A1-830. 16GB Storage. This tablet has a crack running the length of it's screen vertically. The screen is still fully responsive to touch. The tablet has been factory reset. This tablet is running android Jellybean 4.2.X and cannot be upgraded. 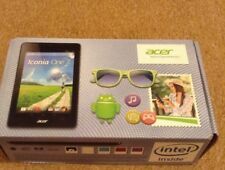 Acer tablet, very good condition, working very good, no scratches or other signs. Condition - Refurbished Tablets in GRADE C Condition. Screens not effected. Tablets have been re-set to factory settings. We have been in the IT industry for over 15 years specialising in repairs, upgrades and now sales. Item is in excellent condition has small very minor mark due to been used, in excellent working order. Comes with original box, manual and charger. Product Features. Bluetooth Yes, Bluetooth 4.0. RF Network Standard 802.11 b/g/n. Wireless System Wireless LAN. Wireless Communications. USB Ports 1 x Micro USB 2.0. Headphone Ports 1 x 3.5mm Earphone Jack. In the event that your creditor(s) takes possession of your assets. You are subject to an application or order for bankruptcy. About the Acer Iconia B1-A71. Why not get them an Iconia B1 of their very own?. Model: Iconia A1-830. Model Acer Iconia A1-830. Condition: This tablet is used, has been tested and is fully functional. The screen may have a sticker that is not on the displayable portion. The casing may also have a few minor scratches, dings, dents, nicks and have a sticker on the back. Screen got visible scratch and mark. there heavy mark on back Cover. Poor condition. 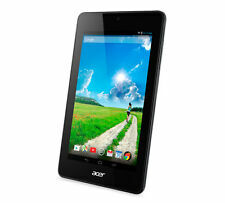 Acer Iconia Tab B1-A71 8GB. 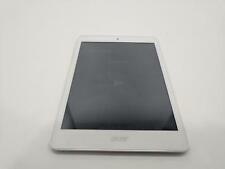 1x Acer Iconia Tab B1-A71 8GB.